Contest #188 answer: Grüner See, Tragöß, Austria – Where On Google Earth? The Grüner See (Green Lake) is a lake, which is only filled up in spring with very clear melting water from the mountains in Austria and almost dries out during the summer. And that makes it a divers paradise. 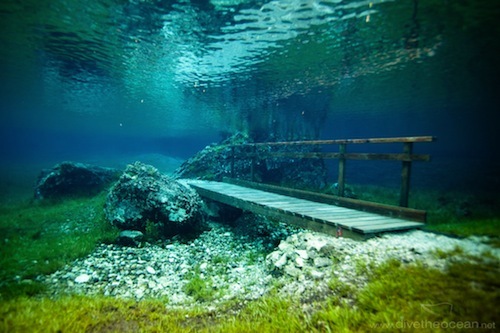 The water is very clear and the lakes fills up when the flowers are blooming on the meadow, which gives some spectacular under water scenery.